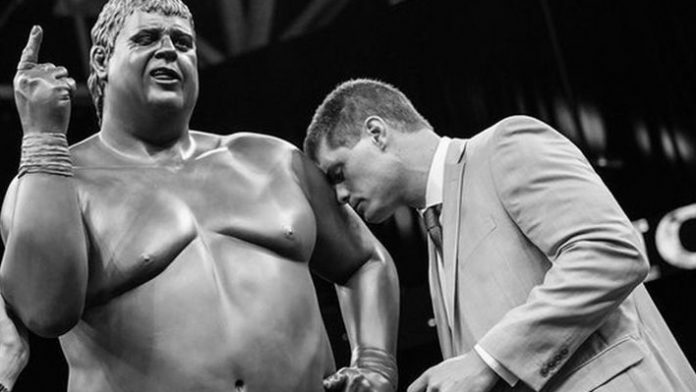 Cody Files To Trademark "Dusty Rhodes"
Cody has applied to trademark the name "Dusty Rhodes"
Cody Runnels has been busy with the US Patent and Trademark office recently. Last week, Cody applied to trademark the terms “American Nightmare” and “the American Dream”. On Thursday, March 14th, Cody filed documents looking to trademark the in-ring name of his father’s, “Dusty Rhodes”. The day before Cody filed several trademarks, Marty Lunde filed to trademark his in-ring name of Arn Anderson. On March 10th, a company named Toot Toot LLC applied to trademark the term “4 Horsemen” for wrestling purposes. The creatively named company happens to share an address with 1st Family Mortgage in Alabama, the company features Starrcast promoter Conrad Thompson as its President. The trademarks by Cody, Arn Anderson, and Toot Toot LLC were all filed by the same lawyer, Michael E. Dockins, as well. Many fans were upset WWE chose not to allow Cody to use the last name Rhodes upon his exit from the company in 2016. Cody told SI.com, however, that he’s grown to appreciate going by just his first name.